University President Kim Schatzel announced Thursday that the Marriott Conference Hotel near campus will be converted to student housing in 2018 to accommodate an ever-growing resident student population. During her presidential address, Schatzel said the University, which owns the hotel building, will not renew its contract with Marriott and the building should be ready for students to live in by fall 2018. 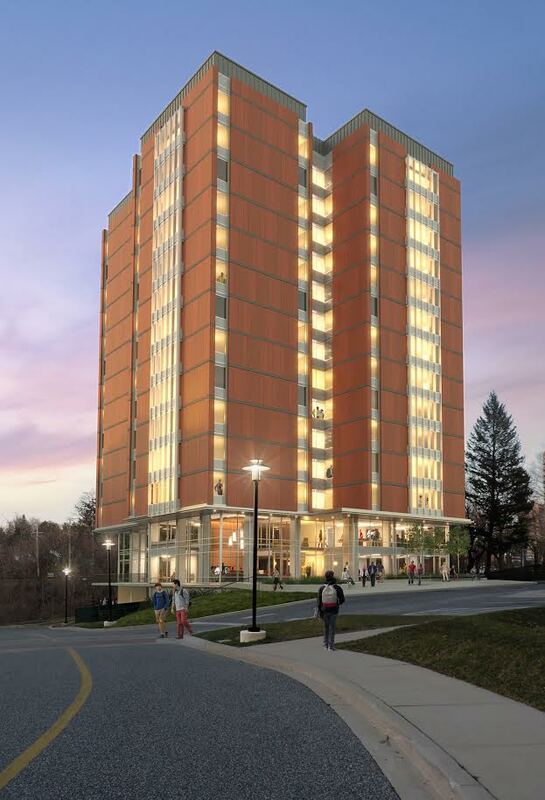 Instead, Towson will use the structure, located on West Burke Avenue, across from Prettyman and Scarborough Halls, to accommodate growing student populations with more on-campus apartment-style housing. 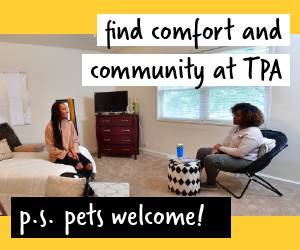 According to Schatzel, Towson has a “bed-deficit,” meaning that there is not enough housing on campus to accommodate those who want to live on campus. 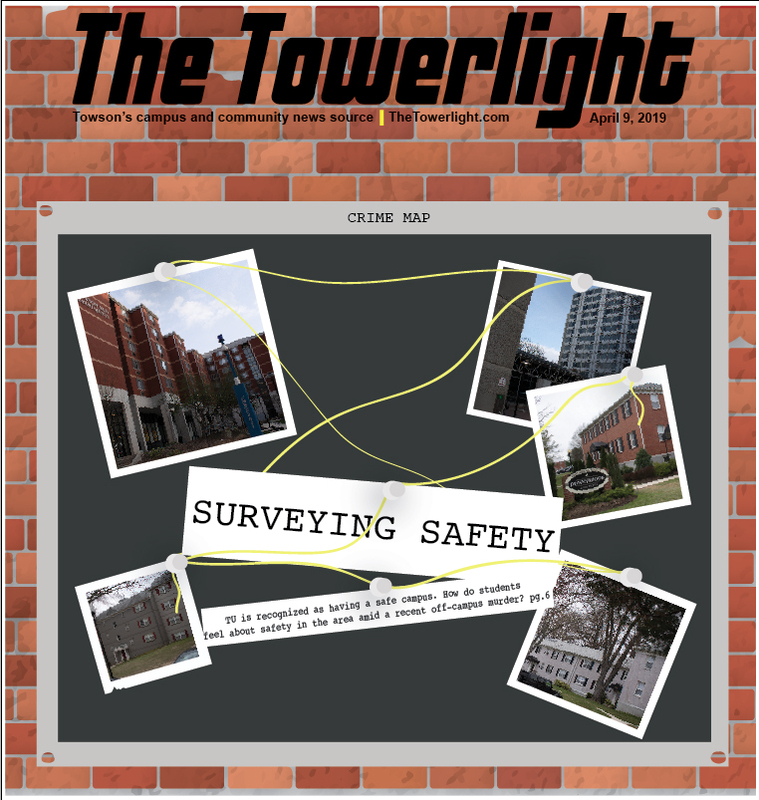 According to a recent University budget workshop document, on-campus housing has been over-capacity for 20 years. Once converted, the Mariott should add 300-400 beds to help catch up to the 2,000-2,500 bed shortage. 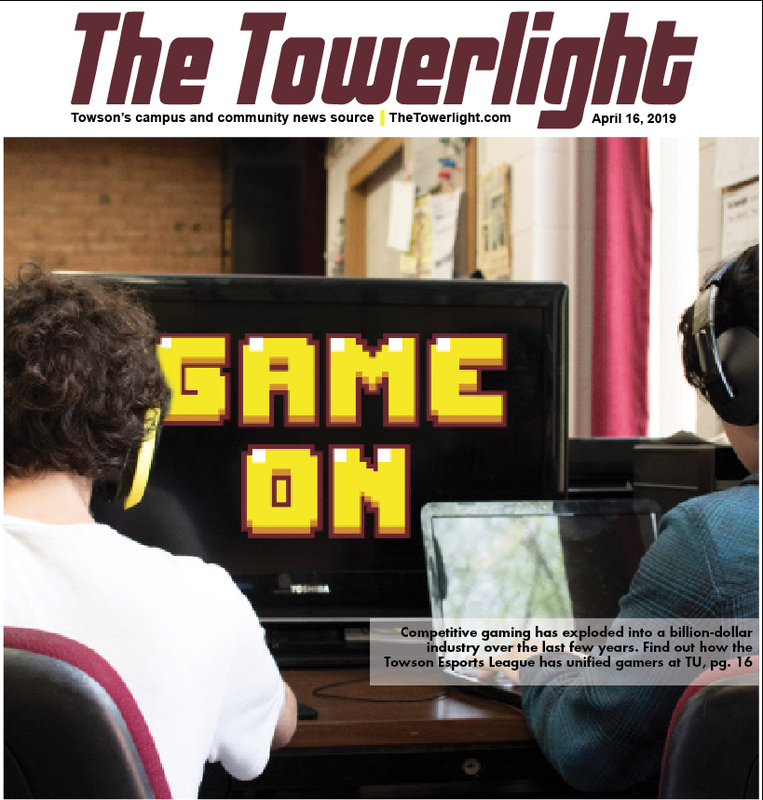 On-campus, apartment-style housing options in Carroll and Marshall halls, the university’s most recent housing additions, filled up within 72 hours of registration last fall — thanks in part to the temporary closure of Residence Tower for renovations. Schatzel said refurbishing the Marriott building was a cheaper option than constructing a new building. 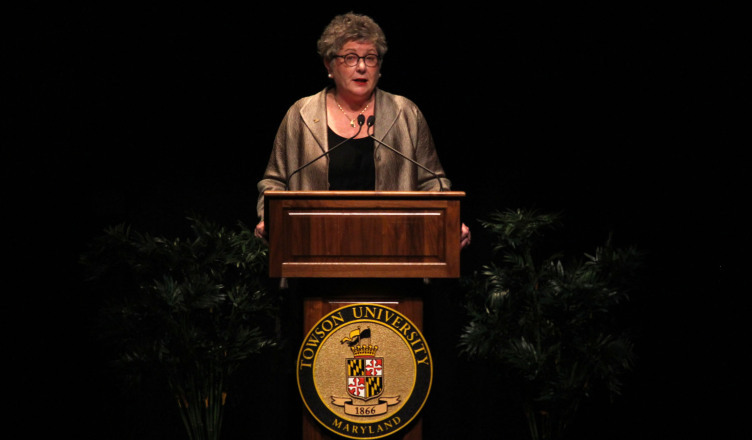 During Thursday’s presidential address, located in the Stephens Hall Theater, Schatzel also updated the Towson community on her presidential priorities and progress on other university endeavors since last year’s address, her first. 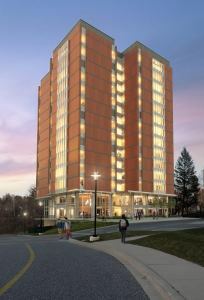 What the renovations to Residence Tower will look like. 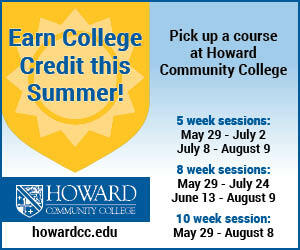 Courtesy of Towson University. The University recently received more than $124 million during the most recent legislative session for the construction of a new science building. 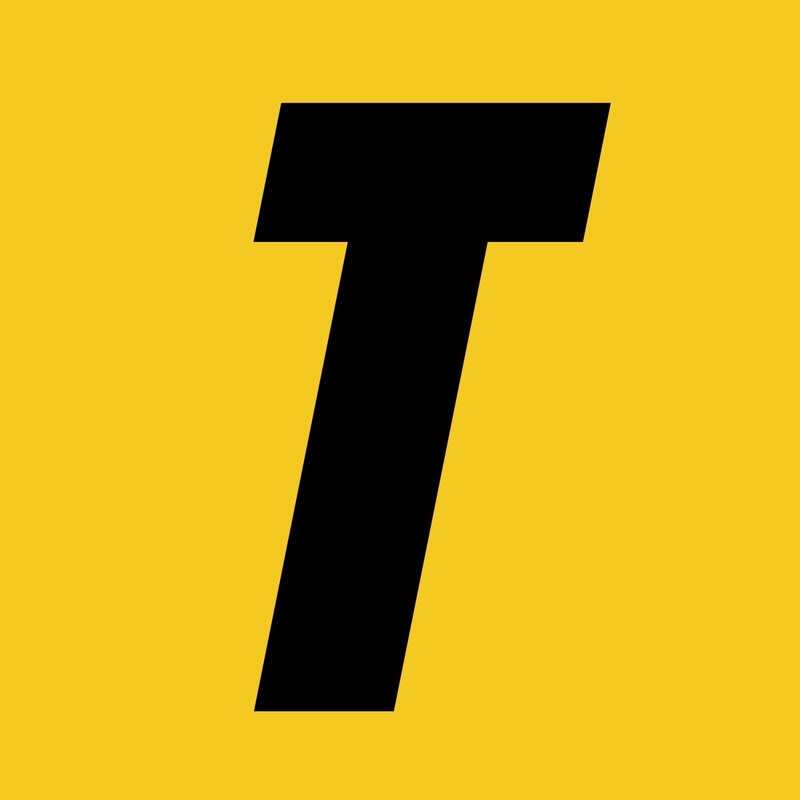 Schatzel said that this marks the largest pre-authorized funding that Towson has received in state history, and it will cover the entire cost of the planned science building through fiscal year 2020. This new building will be the largest academic building on campus when it is complete. The budget recommendations for the University System of Maryland and Towson University were adopted by legislature without any change. The legislature also supported the governor’s recommendation regarding capital funding for the new college of health professions building, and the complete renovation of Smith Hall to create a visual communications building. “All in all, 2017 was a historic legislative session for our university, and it will set the bar for what we plan to achieve in the years ahead,” Schatzel said. 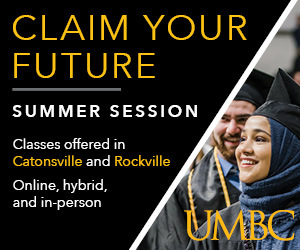 Towson had a record-breaking year in terms of enrollment, Schatzel said, which yielded the university’s most diverse and academically-prepared incoming class in its 150-year history. 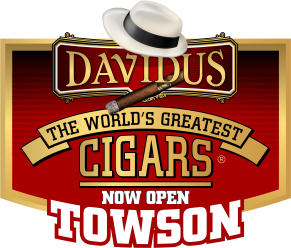 The 2016 freshman class received over 12,000 applications and enrolled over 2,700 students, making it Towson’s largest freshman class in eight years, Schatzel said. Per Schatzel, the Baltimore + TU, or Partnerships at Work for Greater Baltimore (BTU) initiative has formed a council of 28 university leaders from various departments in order to advance the 167 existing partnerships that TU faculty, staff and students have with greater Baltimore. There will be a showcase for these BTU partnerships on April 24. During last year’s spring presidential address, Schatzel announced the creation of an inaugural Vice President for Inclusion and Institutional Equity position to oversee efforts toward diversity and inclusion. Leah Cox, who filled the vice presidential role in January, reflected upon Schatzel’s address by acknowledging the changing state of the university. “You can see some visible changes that President Schatzel has made, so it gives you hope that even more is going to change,” Cox said.